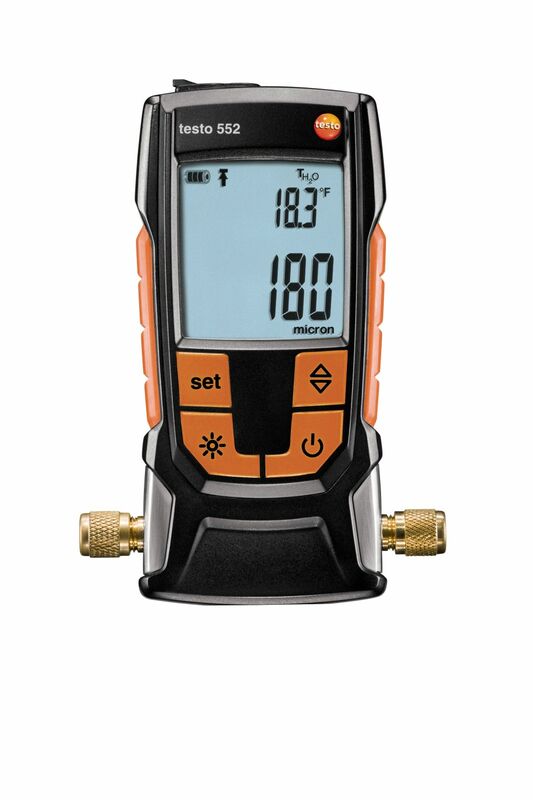 The Testo 510 (0563 0510) Differential Pressure Measurement Kit with Digital Manometer and Hoses measures differential pressure in the range from 0 to 100 hPa. 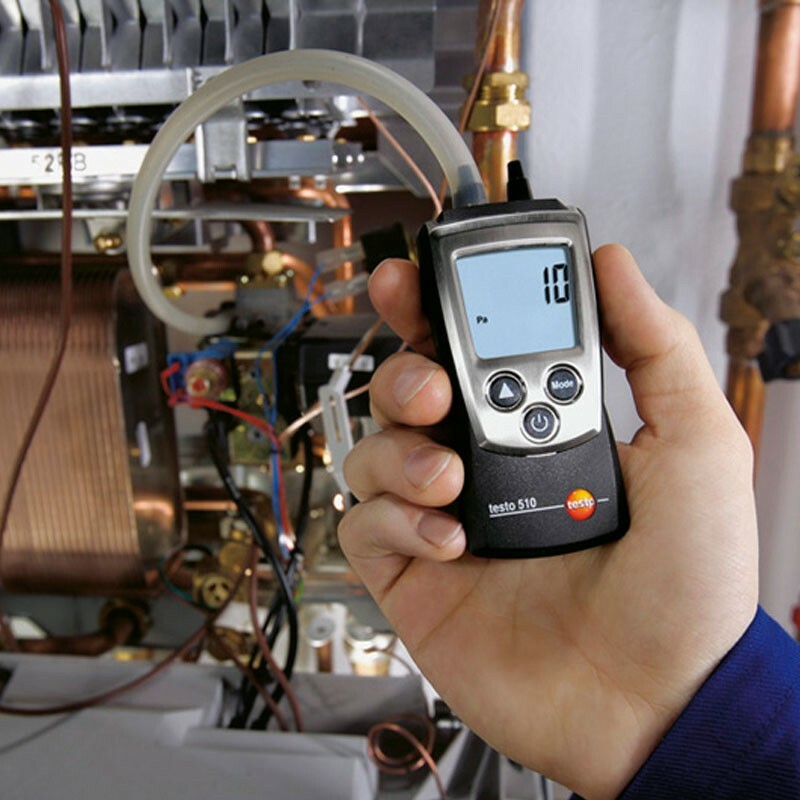 The differential pressure measurement is temperature-compensated for accurate measurement values. 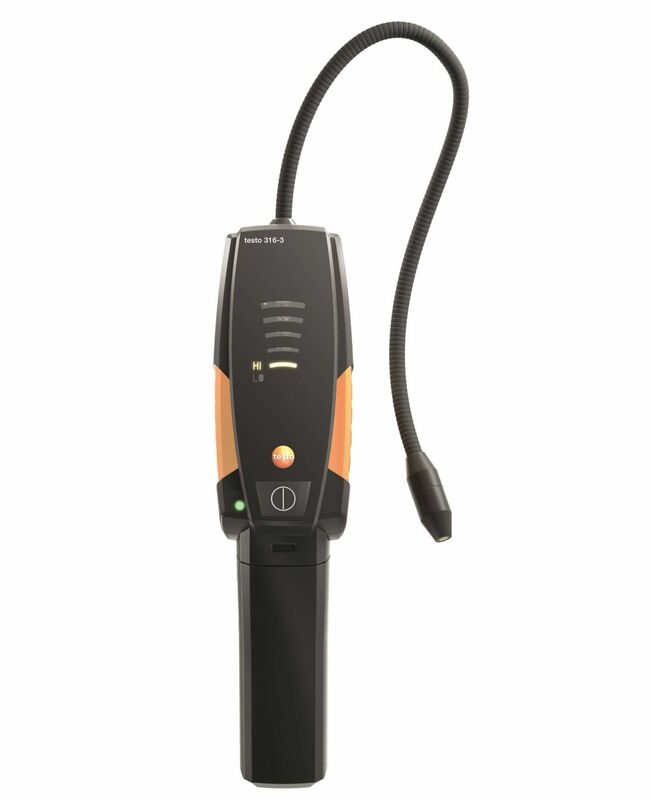 The measurement values can be displayed in Pascal over the entire measurement range. Magnets at the rear permit free-hand work. 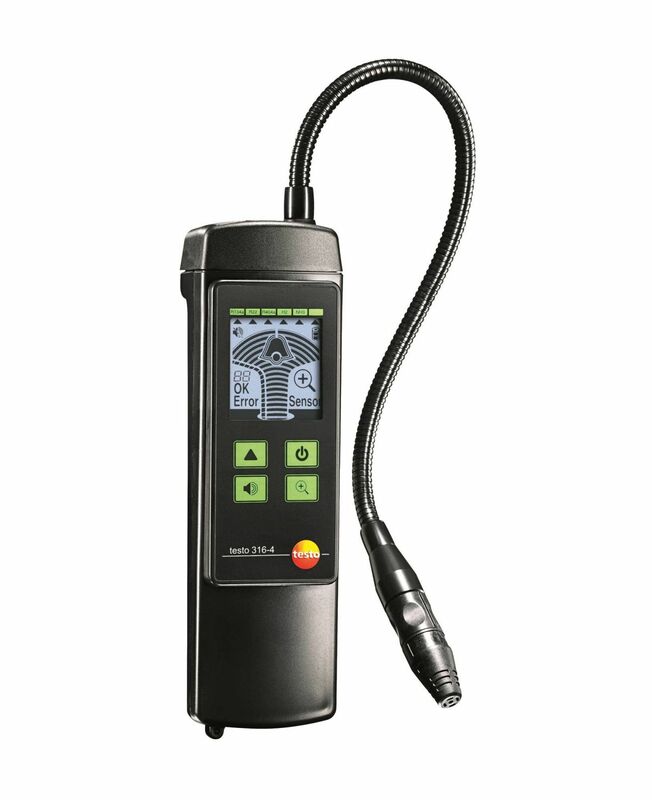 The backlit display allows the measurement values to be easily read out, even in unfavorable light conditions. 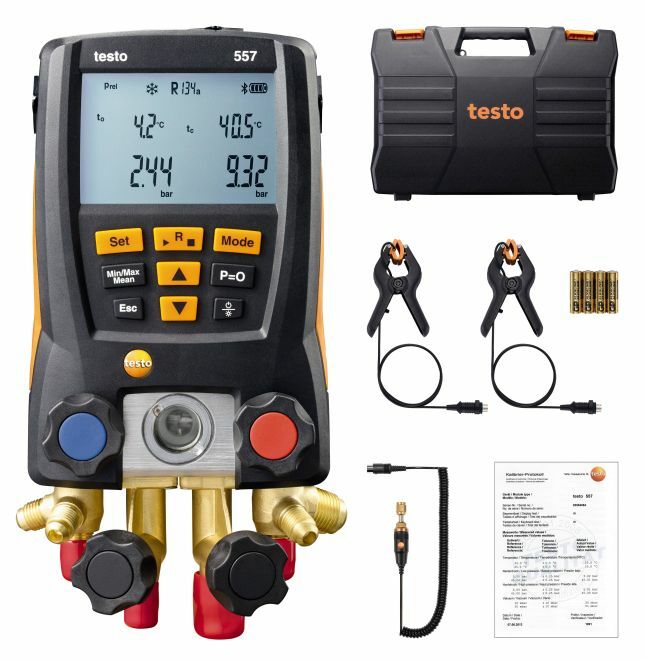 The Testo 510 (0563 0510) Differential Pressure Measurement Kit with Digital Manometer and Hoses measures differential pressure in the range from 0 to 100 hPa. 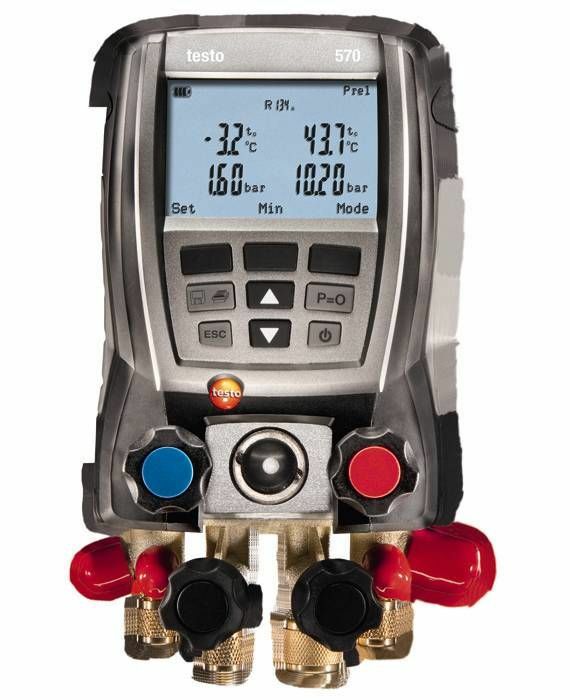 The differential pressure measurement is temperature-compensated for accurate measurement values. 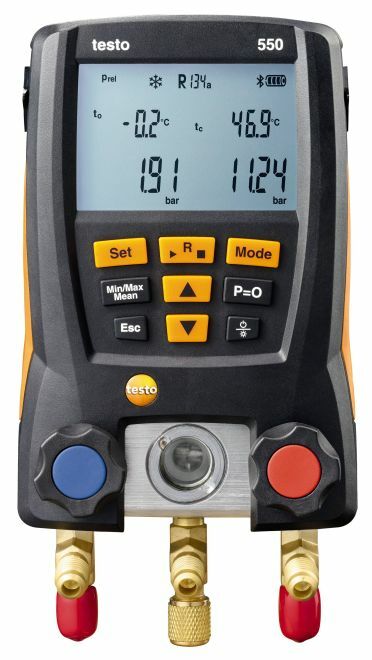 The measurement values can be displayed in Pascal over the entire measurement range. Magnets at the rear permit free-hand work. 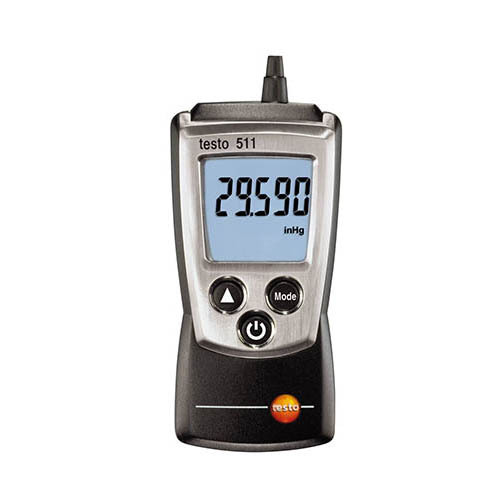 The backlit display allows the measurement values to be easily read out, even in unfavorable light conditions. 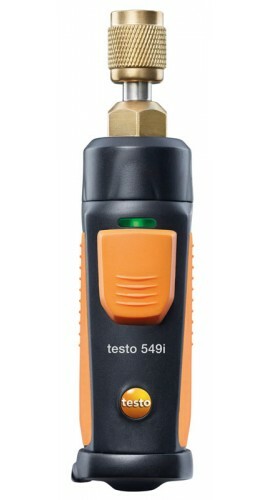 The testo 510, in combination with a Pitot tube, measures air flow velocity. 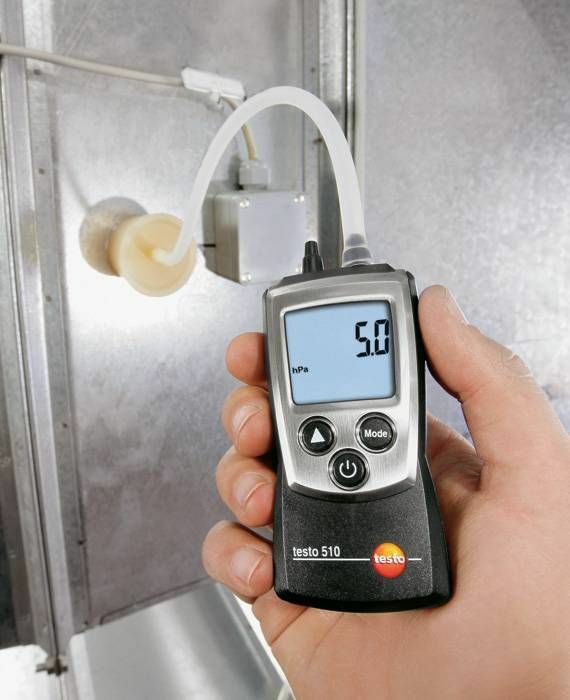 For accurate measurement values, the air density can be compensated. 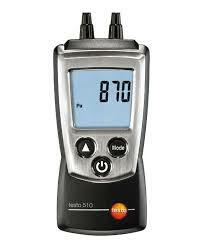 The 510 Differential Pressure Meter is very handy, small and easy to operate.